Revealed: What was Saif Ali Khan's reaction to Ajay Devgn's age jibe in De De Pyaar De trailer? Ajay Devgn and Saif Ali Khan are working together in Tanhaji: The Unsung Warrior. The trailer of Ajay Devgn's De De Pyaar Dehas been grabbing eyeballs ever since it released. Apart from the power-packed punch lines, the film also has a clever plotline that will surely resonate with many. One particular dialogue from the film, where Ajay Devgn justifies dating a girl almost half his age, emerged as the highlight moment of the trailer. 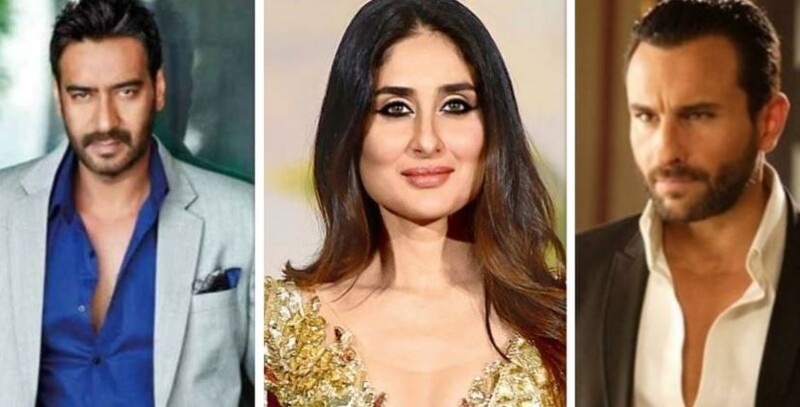 There were reports of Saif Ali Khan being upset with the dialogue where Devgn says, "Old man, young woman relationships are really successful. Classic examples being that of Michael Douglas and Catherine Zeta-Jones, George Clooney and Amal Clooney and closer home, Saif (Ali Khan) and Kareena (Kapoor Khan)." As per a DNA report, soon after the trailer was launched, Ajay Devgn called up Saif Ali Khan and told him about the dialogue. To which, Saif apparently laughed and said, "that's cool!" Ajay Devgn and Saif Ali Khan are working together in Tanhaji: The Unsung Warrior. Saif has been quite experimental with his choice of roles in the last few years. His web series – Sacred Games – has not only won him international acclaim but also massive accolades for his firecracker performance. The show is currently in the shooting phase of its second season. Ajay Devgn's De De Pyaar De trailer was also under fire for having Alok Nath. Fans and critics questioned his stance of working with an actor who is accused of sexual harassment when the world is slowly getting to acknowledge and confront the biggest demons of society. In his defence, Ajay had said that the film was shot before the allegations made its way to the newspapers and hence nothing could have been done.